ORANGE COUNTY, Calif. – June 10, 2014 – Innovating its membership and donation processes was a major project for the intercontinental non-profit JET AIRCRAFT MUSEUM (JAM), and AnyMeeting (http://anymeeting.com) Web and video conferencing cloud software delivered the simple and affordable collaboration tool it needed to ensure a successful transition for JAM members and its officers and Board of Directors. AnyMeeting allowed the team to train far-flung members, on time and on budget, and is now a key part of JAM’s optimized flight plan for reaching prospective members and driving its fund-raising campaigns. The JET AIRCRAFT MUSEUM is a volunteer organization of 150 international members. The museum exits to create and maintain a dynamic and living history of the modern age Royal Canadian Air Force, and provides a center to honor the valiant Canadian men and women who flew these aircraft with distinction in periods of war, peace, and peace keeping. The non-profit organization has as its primary purpose the acquisition, display, preservation, and maintenance of its jet aircraft, and, uniquely, it provides in flight demonstrations. Collaborating with members of the museum to fulfill its mission to combine the creation and operation of museum housing, while managing aircraft, historical artifacts, records, and salient memorabilia required the geographically dispersed volunteers to spend many hours trading emails, logging into Facebook, and managing a handful of other media. No one resource offered a consistent solution to everyone across the organization’s diverse demographics. And the ongoing challenge in the governance of a successful and expanding volunteer organization like the JET AIRCRAFT MUSEUM requires streamlining processes and reducing costs wherever possible. The team needed a better way to communicate with consistency. The JAM officers and Board of Directors were interested in Technical Marketing Director’s Steve Blackwell’s proposal to test online collaboration and meeting solutions to help manage team communications. Blackwell took several online meeting and video conferencing solutions like GoToMeeting and Cisco WebEx for test flights but found they were prohibitively priced for his organization’s budget. During his review process, he experienced another powerful web conferencing and video conferencing solution, AnyMeeting, in a meeting hosted by another of his clients. He was impressed with the performance and the simplicity of the experience and the price was right – free with easy upgrades. AnyMeeting is an easy-to-use, full-featured Web conferencing and webinar software platform designed to meet all the conferencing needs of small but rapidly growing organizations like the JET AIRCRAFT MUSEUM, with 6-way video conferencing, phone conferencing, screen sharing, presentation sharing, meeting notes, recording and more, plus support for the iPhone, iPad and Android tablets (with Android phones coming soon). The museum initially chose AnyMeeting as the best solution to meet its needs to make it simpler for the volunteers to automate content management processes and collaborate on documents. Using AnyMeeting, Blackwell was also able to innovate processes, workflows and ad-hoc communications with members, saving significant time and resources. ORANGE COUNTY, Calif. – June 10, 2014 – Momentum for AnyMeeting (www.anymeeting.com) continues to grow as small businesses — the major growth engine of the U.S. economy1 — discover its easy-to-use, affordable, all-in-one conferencing tool. Serving small businesses across industries including technology, healthcare, professional services, real estate and financial services, AnyMeeting delivers a powerful all-in-one conferencing tool for everyday use. A growing number of companies are adopting AnyMeeting to cut travel and meeting costs and simplify training and collaboration.In particular, an increasing number are buying AnyMeeting Company Plans, which offer a range of administrator controls together with access to AnyMeeting’s all-in-one conferencing tool for a number of employees. With Company Plans, administrators can add and remove users, manage consolidated billing, and view detailed meeting activity reports. AnyMeeting Company Plans provide host accounts for three or more people in a company, plus administrator controls to manage them. Every user gets access to AnyMeeting’s all-in-one conferencing tool featuring 6-way video conferencing, phone conferencing, screen sharing, presentation sharing, meeting notes, recording and more. Rapidly growing start-up Groopt http://groopt.com is among the many AnyMeeting customers that have recently made the decision to upgrade to a new AnyMeeting Company Plan. 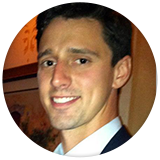 Patrick Allen is founder and CEO of Groopt, a bootstrapped start-up based in San Francisco. The five-year-old firm began as a boutique design agency and pivoted a year ago into a thriving, 14-employee database platform for faith, nonprofit, alumni, sports, political and social groups. Like many entrepreneurs, Allen realized the company’s success depends on having clear and reliable communication with both existing clients and new business prospects, making Web conferencing an important consideration. Allen recognized that early-stage organizations like Groopt need to be smart and nimble with their finances, and that sending employees to in-person meetings all over the globe would be unsustainable. The value of Web conferencing for entrepreneurs like Allen is immeasurable. Being able to conduct productive and comprehensive meetings with integrated screen sharing, shared documents and notes, live polls, and full audio and video conferencing from anywhere can have an immensely positive impact on their businesses. Groopt initially tried a variety of Web conferencing tools ranging from established players like GoToMeeting and Skype to lesser known solutions. As Allen explains it, the services were either too expensive or cumbersome, or worst of all, made participants download software before entering the meeting. After experimenting with various upgrades and approaches, he was close to giving up on Web conferencing all together. Allen was introduced to small business Web conferencing leader AnyMeeting through a mutual acquaintance, so he decided to give the service a try. What attracted him to AnyMeeting was that the cloud-based service was developed specifically for small businesses like Groopt. He started by using AnyMeeting’s core service and liked it enough that he encouraged his staff to give AnyMeeting a try. Across the board the team found AnyMeeting to be elegantly designed, intuitive, and most of all, reliable. After a few short weeks, Groopt’s team had become so enamored with AnyMeeting that they often found themselves promoting the service to webinar participants. Allen recently elected to upgrade Groopt to AnyMeeting’s Company Plan, providing accounts for his entire team along with administrator controls, consolidated billing and reporting his company needed. Groopt has continued to grow and just released its newest product, a mobile-friendly database to help any group measure and leverage its data to achieve its membership, civic or funding goals. According to Allen, AnyMeeting’s Web conferencing services will continue to be an integral part of the company’s strong growth. As a cloud-based and browser-based solution, no pre-installation, training, or configuration by administrators or IT staff is necessary. The service is conveniently integrated with audio on the phone, so participants can join by either phone or computer. 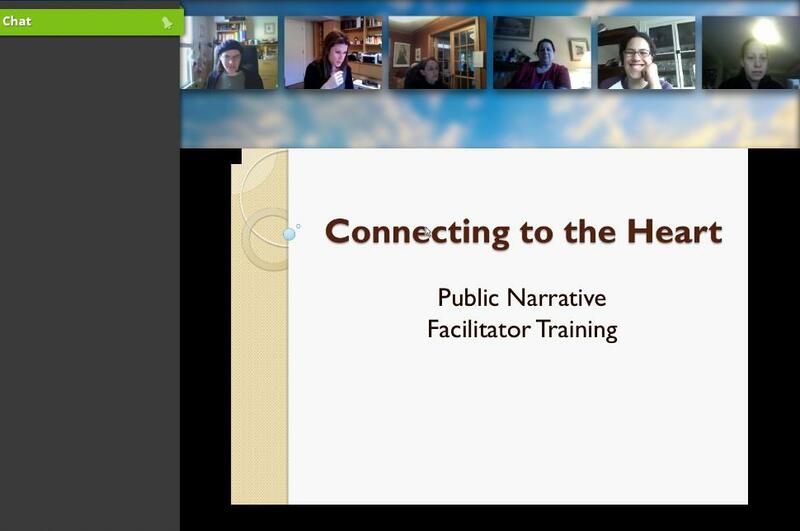 Attendees on the go can also join the online meeting using their iPhone, iPad or Android tablet. AnyMeeting customers include companies from a wide range of industries, including healthcare, financial services, real estate, and technology services. These companies are adopting AnyMeeting to cut travel and meeting costs and simplify processes associated with training and collaborating with team members (cited as the dominant use cases by 34% and 29% of customers, respectively, in AnyMeeting’s fall 2013 customer survey). One such customer is ChartMeds, a rapidly growing company that delivers an advanced Web-based healthcare solution for automating medication administration records (advanced eMAR) or Med Passes for residents of state and federally regulated long-term care, nursing, assisted living, troubled-youth and correctional facilities. Because ChartMed’s business is broadening across a diverse range of residential healthcare facilities, thanks in part to mandates related to the U.S Affordable Care Act (ACA), ChartMeds delivers sales demos, system training and other key customer support services that meet specific scheduling and regulatory requirements for its customers in the U.S. and abroad. The principals at ChartMeds realized that the company could enhance its sales processes with online demos and deliver superior, customized training webinars for customers with AnyMeeting while cutting meeting and travel costs. As ChartMeds began reviewing online meeting options, they quickly found AnyMeeting was the right solution based on “quality capabilities, simplicity and price.” Brad Barrows, director of Sales at ChartMeds said, “AnyMeeting was not only the simplest solution for our users and customers to navigate — and we had tried other solutions like GoToMeeting — but the ease of use and the value we receive with every use of AnyMeeting is appreciated every day. ChartMeds is now realizing a lift in sales close rates from an average of 7% prior to the use of AnyMeeting to nearly a 50% sales close rate today. ORANGE COUNTY, Calif., March 20, 2014 – Doubling its size in 15 months, AnyMeeting (http://anymeeting.com) now delivers its web, video conferencing , phone conferencing and webinar tool to more than 500,000 small business users. In a recent customer survey, AnyMeeting customers cite peer recommendations and a great customer experience (CX), including ease of use and AnyMeeting pricing as the key criteria for adoption. One such customer is ChartMeds, a rapidly growing company that delivers an advanced Web-based healthcare solution for automating medication administration records (advanced eMAR) or Med Passes for residents of state and federally regulated long-term care, nursing, assisted living, troubled-youth and correctional facilities. Because ChartMed’s business is broadening across a diverse range of residential healthcare facilities, thanks in part to mandates related to the U.S Affordable Care Act (ACA), ChartMeds delivers sales demos, system training and other key customer support services that meet specific scheduling and regulatory requirements for its customers in the U.S. and abroad. The principals at ChartMeds realized that the company could enhance its sales processes with online demos and deliver superior, customized training webinars for customers with AnyMeeting while cutting meeting and travel costs. As ChartMeds began reviewing online meeting options, they quickly found AnyMeeting was the right solution based on “quality capabilities, simplicity and price.” Brad Barrows, director of Sales at ChartMeds said, “AnyMeeting was not only the simplest solution for our users and customers to navigate – and we had tried other solutions like GoToMeeting –but the ease of use and the value we receive with every use of AnyMeeting is appreciated every day. ChartMeds is now realizing a lift in sales close rates from an average of 7% prior to the use of AnyMeeting to nearly a 50% sales close rate today. AnyMeeting is an easy-to-use, full-featured Web conferencing and webinar software platform designed to meet all the conferencing needs of small business, with 6-way video conferencing, phone conferencing, screen sharing, presentation sharing, meeting notes, recording and more, plus support for the iPhone, iPad and Android tablets (with Android phones coming soon). For more information, please visit http://www.AnyMeeting.com. 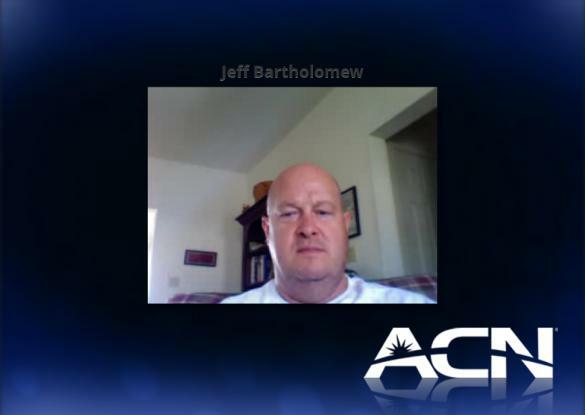 Jeff Bartholomew submitted a success story describing his experience using AnyMeeting as a tool to help grow his business as a regional director for ACN, Inc. A network marketing company, ACN is the world’s largest direct seller of telecommunications and essential services for home and business. Jeff has been using AnyMeeting for over a month and further discusses his experience with AnyMeeting as a meeting tool for his business. 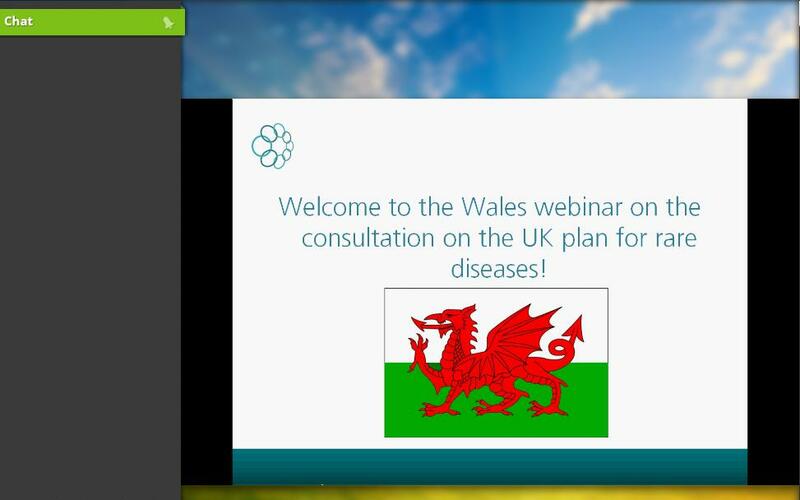 The Genetic Alliance UK submitted a presentation entitled The Wales Webinar on the Consultation on the UK Plan for Rare Diseases. The alliance believes that everyone living with a rare disease should be able to receive high quality services, treatment and support. The aim of their stakeholder engagement project was to encourage those affected by/interested in rare diseases to respond to a government consultation on a rare disease plan. The UK has never had a comprehensive plan a for rare diseases, even though 1 in 17 people will be affected by a rare disease at some point in their life, which amounts to approximately 3.5 million people in the UK. Samantha Reeve, Policy Research Officer for the alliance further discusses their experience with AnyMeeting.